I just love to photograph portraits. Kids, adults, couples, expectant women, families, pets — I love them all. Whether we schedule a portrait session at home, at a favorite stomping ground or in and around my Baltimore studio, I enjoy getting to know each individual and family, documenting their particular dynamic. Throughout my experience as a portrait photographer in the Baltimore and Washington, DC region, I have found that the best photos come from an emphasis on comfort and ease. It is essential that each individual feel relaxed in the setting we choose. Sometimes that means staying at home, where the environment is familiar. Sometimes that means getting out into the city and finding some place new and exciting. Or, for some children especially, it may mean bringing along someone or something familiar and comforting. Case in point: the boy pictured above. His plush Spider Man was a buddy; it was with him every day. 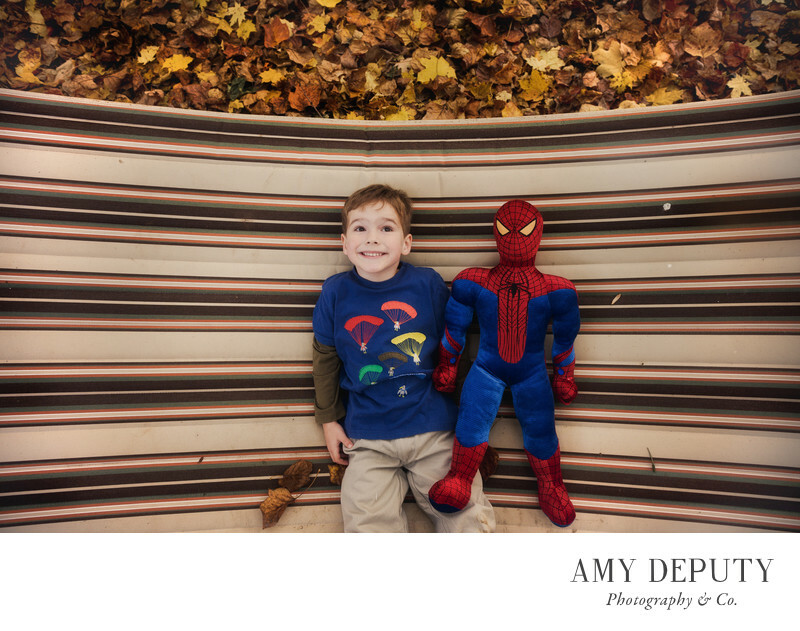 So, during this portrait photography session, of course Spider Man would be there! Not only do I want to capture and produce beautiful photographic prints for people to enjoy, I also want to make sure that these photographs represent real life. This is who you are, how you are and how you live. What could be better?